Another early Lubitsch musical. This one starts promisingly with wonderful shots of a wedding which the bride has abandoned (her dress deflated on a chair, the groom traveling under a row of umbrellas) and proceeds to a decent song (the foppish groom – Claud Allister – informing his guests that he will retrieve the girl). 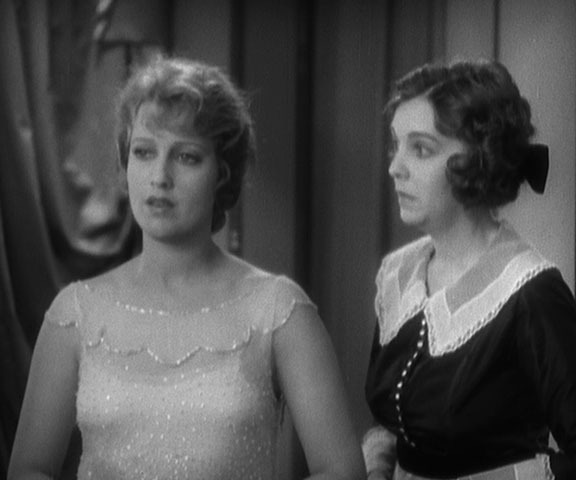 Alas, it’s to be the last decent song because after heroine Jeanette MacDonald (of Love Me Tonight) is introduced, she’ll do all the singing in Snow White screech-falsetto. Zasu Pitts looks wary: madame could start singing at any moment. 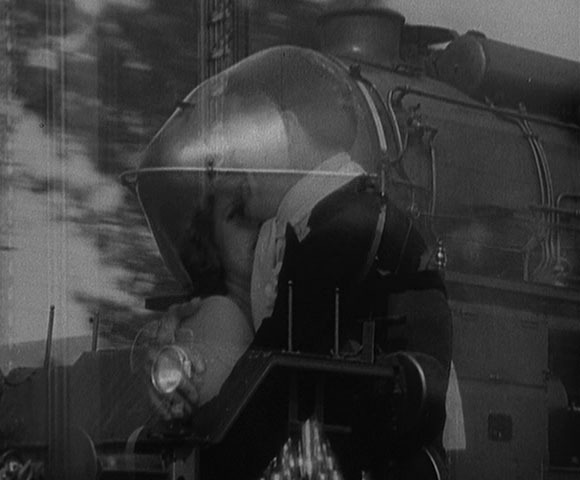 We quickly abandon the abandoned husband to follow Jeanette, escaping by train with loyal maid Zasu Pitts (Greed, Lazybones) to Monte Carlo, where she meets many hopeful fellows and hires 20 assistants – all on credit since she has no money. 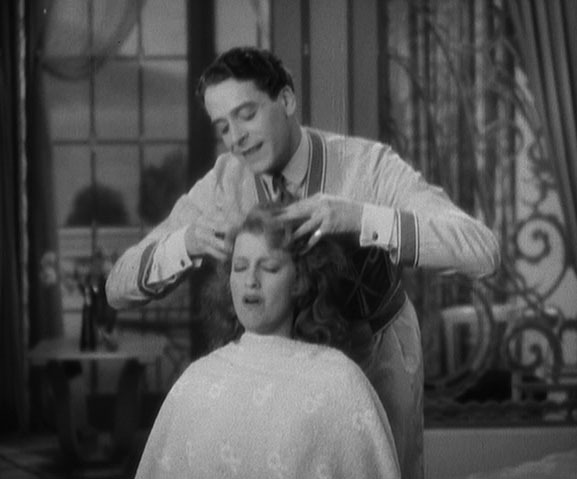 One especially hopeful fellow is smiley, overconfident Jack Buchanan, who singlemindedly goes after her, finally gaining entry to her hotel suite by posing as a hairdresser then taking over all her servant positions when she has to let everyone go since she can’t pay them. Of course Buchanan is secretly wealthy, so after Jeanette gives up hope of escape and is again going out with her prince from the beginning, Jack makes his move and she escapes again. Perfectly decent movie, though I didn’t notice many attention-grabbing Lubitschisms after the intro. Felt more like a simply-plotted cheapie. The only real disappointment (besides Jeanette’s singing) was a hollow-eyed, sad-mouthed Zasu Pitts, seeming to slow down the film whenever on screen. My favorite was the prince, so winning a being a loser in the opening scenes.